80*80cm size with a net attached. 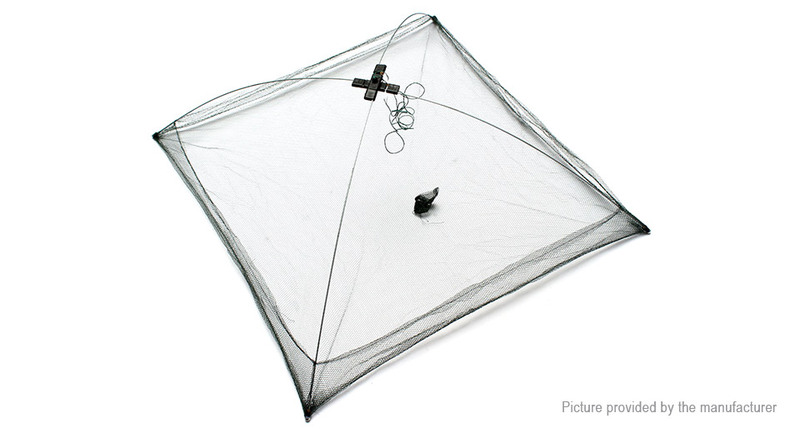 A bait bag is attached in the centre of the net for the use of putting bait in it to attract your target. Put some bait in the middle bait bag, sinking the Fishing Net in the river, then put some other bait in the river above the net, in order to let more fish and lobsters swim into the trap. Put away the net from the river when lots of fish swim above the trap net.